Welcome to my home page. I’m Professor of Philosophy at California State Polytechnic University, Pomona (more colloquially known as Cal Poly Pomona). My research is principally in ethics, with particular emphases on suicide, grief, punishment, Kantian ethics, paternalism, work and labor, and moral psychology. My book Understanding Kant’s Ethics (Cambridge University Press) was published in 2016. My book, Suicide: The Philosophical Dimensions (2011) was named a Choice Outstanding Academic Title. I am presently completing the first-ever book on grief and bereavement from a philosophical perspective, supported by a grant from the National Endowment for the Humanities. My books are available for purchase here. I have also published over 60 peer-reviewed articles, including articles in Mind, Ethics, Philosophy and Phenomenological Research, Philosophical Studies, American Philosophical Quarterly, and the Stanford Encyclopedia of Philosophy, as well as in collections published by Oxford University Press, Cambridge University Press, and Routledge. 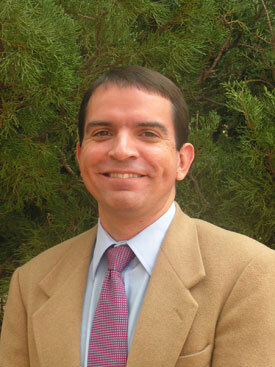 I serve as the director of the newly created California Center for Ethics and Policy (CCEP). CCEP has a distinctive mission for an academic ethics center: to investigate ethics and policy issues by focusing on how those issues play out in our California communities and statewide. I’m also a founding member of the International Association for the Philosophy of Death and Dying, a panelist at askphilosophers.org, a contributing blogger at Psychology Today (‘Ethics in Question’), and a former member of the American Philosophical Association Committees on Public Philosophy and Teaching Philosophy. I currently serve as an at-large board member of the American Philosophical Association Pacific Division executive committee. I serve as an editorial board member for the Journal of Applied Philosophy, a member of the board of advisors for Social Theory and Practice, a contributing editor at the Journal of the American Philosophical Association, and an area editor for ethics at Ergo. I happen to like reviewing manuscripts!